Well, there are four of us here and the pickiest eater is The Beebs. There is no problem in terms of combining wet and dry food. He will eat both, but the only wet food he will eat is Tuna, sometimes mixed with chicken. On the other hand, he loves raw meat and will gobble up beef or veal whenever #1 gives him any (as will his Mama-Tama). The other two don't care for raw meat at all, but will eat pretty much everything else. Oh, and everyone loves chicken! When she hasn't roasted a chicken to share with us, #1 will bake a chicken breast in the oven with a little water, and we will all inhale it! Maxwell: Beebs, dood. I'm with ya all the way! (though I won't even touch TUNA, MOL!) 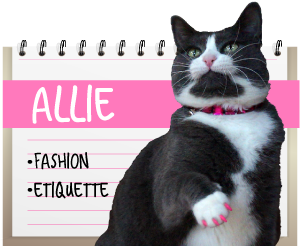 I keep sniffin' at Allie's raw meat, but nope. Nuttin'. Oh my CAT! Maybe that organ was the delicacy and it was a Great Honor she was bestowing on you...! It took me 3 whole days to convince Cosmo the home cooked food wasn't poison. But once he started on it, he never looked back. 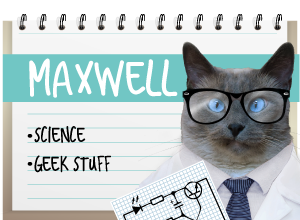 :) Give those wet food a try, Maxwell. PS. It always makes me laugh how Allie refers to you as "Mother". Maxwell: Um, maybe if Momma cooked for me...? Allie: Don't push it kid. She works for a living. It's hard enough to get her to go outside with me. You're NOT taking that time away for COOKING lessons! I THOUGHT I was a picky eater until I saw Maxwell's reject list - even I will eat some of those! My older cats seem to have a harder time with canned food - once the food settles into the "corners" of the food bowl, they can't seem to get the food up with their tongue anymore. So I've found sure-fire way to both get more water into their diet and make the food easier to "eat". I turn the canned food into a thick soup by mixing water into it. 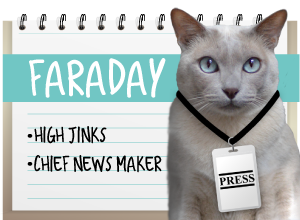 FaRADaY: Ha! Maxwell's ON to that trick! Momma tried it - and he refused. She then tried adding flax oil instead, thinking it was the texture of the water that was making it the wrong consistency. It fooled him ONCE. *shakes head* He's a hard case, for sure! I am a VERY discriminating and picky eater. It all boils down to whether or not it was free. We've won so much food with this contest and that contest ....Gloman says we might need another cat just to eat the FOOD! If it's free I hate it. If it costs money, I love it. Until it's gone and Glogirly buys lots of it. Then I'm tired of it. Let's see....Tatiana has been known to slap potato chips out of Mom's hand just before she is about to eat it. She begs worse than the dog for cheese. She slinks over to Mom's plate when she is eating cottage cheese, and she loves toast too. Bailey, on the other hand, does not like treats. Yes, it's true. And, she is the one that wails for her meals every single day. She just wants her regular meal, and she is happy. However, her bowl is placed on top of a small crate, so Bailey is sitting up. She is given canned food which is smooshed into a wide stainless steel bowl, then kibble is added and smooshed into the canned food. This is to help her eat slower, and less chance of her regurgitating her food. Maxwell: tater chips??? Hrm, I've never tried those. Though Faraday'll eat tortilla chips. Sometimes. Oh Yes!! Very picky!!! *Glares at Austin* He is so picky, he picks the food off my plate!!! And he is squeamish about raw ... unless it's attached to fur or feathers!! He doesn't like nood raw, I guess!! FaRADaY: *slaps forehead* oh my CAT why didn't we think of that? Maxwell's a very shy guy, I betcha nood raw meat makes him BLUSH! Far from it.......we eat everything!! We're not that picky, but the mom has been wanting to get us off of dry foods. But I love my crunchies!! And I don't wanna give them up!! So now when she gives me my wet food, she mixes a lot of water in it and makes it kinda soupy and I like that. And it means I can have my crunchies too! Harley has started to become a very picky eater. When he walks away from the food dish, I scarf his portion right up! I occasionally wish my cats were a little pickier.. but then I get picky fosters and I'm very thankful that The Crew will eat anything..